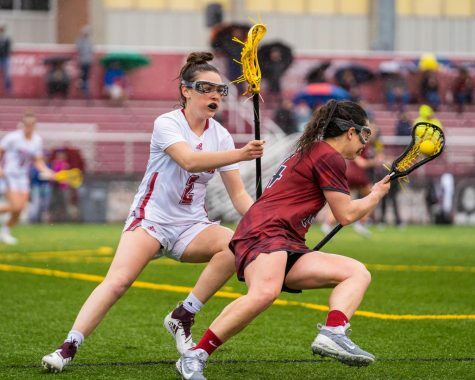 After suffering its second straight loss on Saturday, the Massachusetts women’s lacrosse team will look to improve aspects of its game when it faces New Hampshire this afternoon. 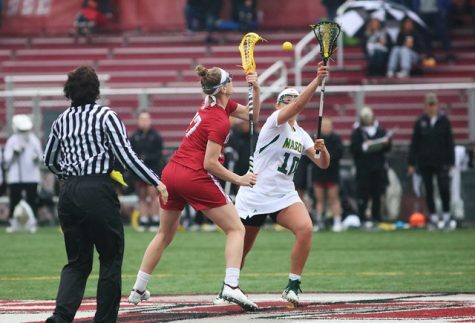 The loss against the Crimson (1-0) produced three obstacles for the Minutewomen (2-3) to improve on in today’s contest against the Wildcats (2-0). In the contest against Harvard, UMass could not match the Crimson in the clears category. Harvard went 10-for-10 in clears, well above the Minutewomen’s 9-for-14 mark. 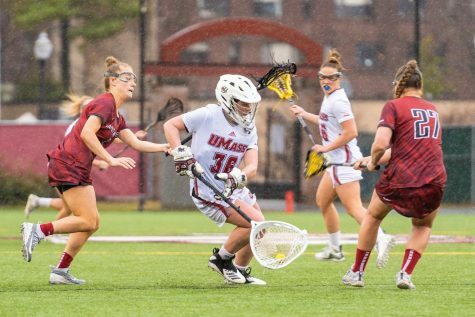 UMass totaled the same amount in clears in its 10-8 loss to No. 10/11 Boston University. In their first game of the season against Northwestern, the Minutewomen did not clear the ball once during the contest. 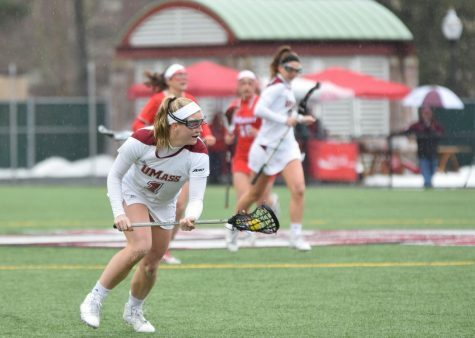 During its first two wins of the season, UMass cleared the ball 10 times against Holy Cross and 11 times against Connecticut. When the Minutewomen have failed to earn double-digits in clears, they have gone on to lose the contest. This season, UNH has had success with clearing the ball, going 23-of-30 in clears in its first two victories of the spring. The Minutewomen have struggled this season with keeping the ball, accounting for 77 turnovers throughout their first five games. Meanwhile, UMass’ opponents have earned 67 in the same category. Despite Venechanos’ worries about the turnover ratio, UNH has had its own set of faults when it comes to keeping possession. The Wildcats have committed 34 turnovers in their first two games, an amount that the Minutewomen reached after their third game. 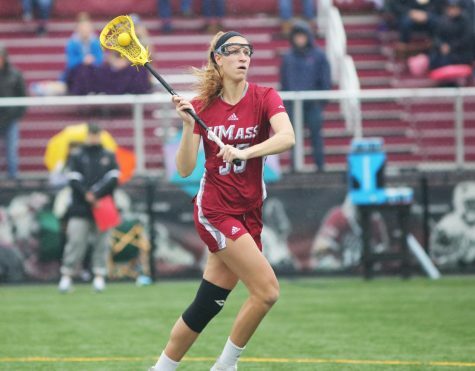 One key piece of the puzzle for the UMass squad has always come from its belief in draw controls. Coincidentally, in its last two losses of the season, the Minutewomen were the victors in draw controls. 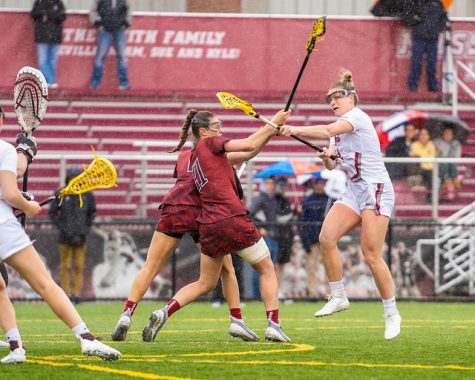 While it was ousted 21-5 in draw controls to Northwestern, which lead to a 18-8 loss, UMass has been successful in the category since. 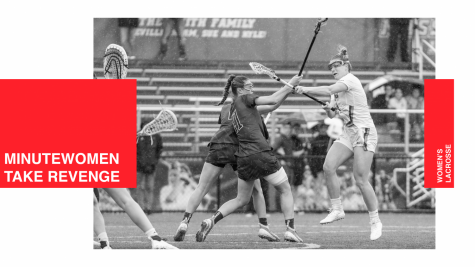 In the match against the Crusaders, the Minutewomen had 13 more draw controls than their opponents (18-5), and four more than the rival Huskies when they faced them on Feb. 20. 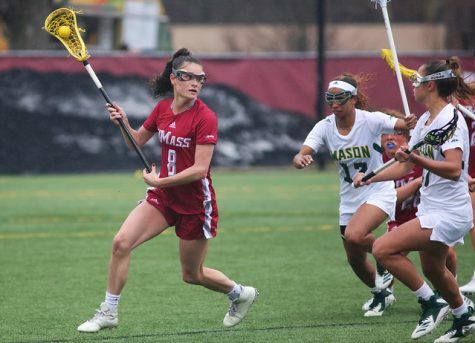 Despite the two losses against the Terriers (1-0) and the Crimson, UMass beat both teams in draw controls by a 13-6 margin and an 11-9 margin, respectively.